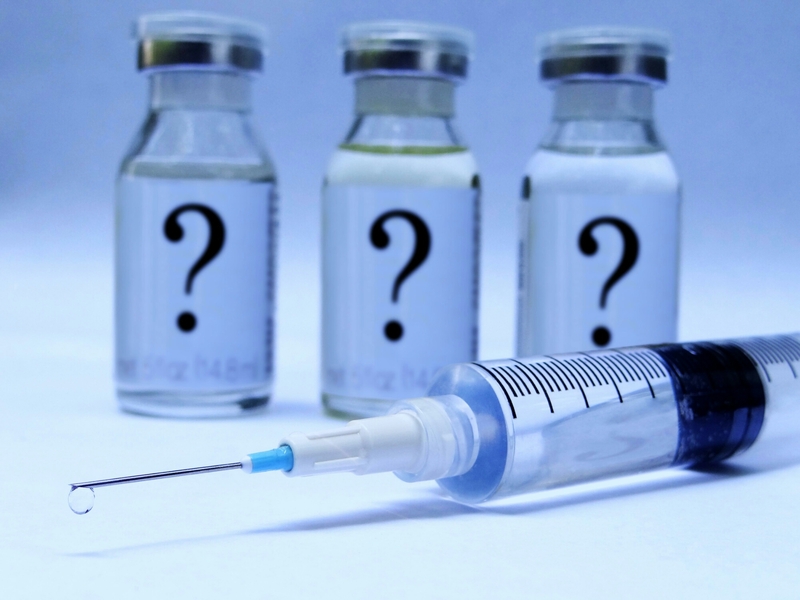 Facet Joint Injections – the Low Down! My back pain is literally disabling. It’s because of my back pain that I can’t walk, and either use crutches over short distances or my scooter for longer. The last time I tried walking without my crutches was over a year ago, and I was in tears of agony after a very short time. The pain starts in my outer left hip, then sets fire to my lumbar spine which is where the actual mechanical damage is. Using crutches keeps weight off my left leg, so stops this process. However I’m constantly in pain in my back, standing hurts, sitting hurts, etc. That’s not even a moan, I am so used to this now it just is. So the damage. My L5/S1 disc is prolapsed (herniated), the two discs below that are completely dehydrated. This is known as Degenerative Disc Disease, DDD essentially means my lower lumbar spine is bone on bone. And that’s the bit that hurts! So today as a day patient I have just received two sets of facet joint injections. In simple terms the facet joints join the vertebrae together, they contain synovial fluid, and they become inflamed, just as any other joint can with RA. Is this caused by RA? Opinions do vary. However the disc degeneration is known to not only be more common in RA patients, but to progress more quickly. And I don’t believe in coincidences, my back pain started about two months after my first RA symptoms. It would seem strange to me if the two weren’t linked, and my orthopaedic consultant said YES. Good enough for me. Once the local had been injected (small ouch) the consultant worked closely with a radiographer who was taking almost continuous xrays so she could direct the four separate injections in obliquely to exactly the right spots of my spine. I could see the xrays on the screen beside me which I found fascinating, but I’d recommend turning away if you’re squeamish! Did it hurt? Yes. Each time the needle got near the affected joints. I kicked the table I was laying on at one point, but I managed to stay still and not swear out loud, which I’m calling a major win! Half an hour on a bed then discharge. They advise having someone drive you and stay with you in case of adverse effects. I know different people react differently to medication. Having had this done today I’d happily drive myself there and back if there’s a next time. Prognosis? Apparently it can take up to two weeks to know if this has worked. The options are – it gets better, nothing changes, it gets worse. No guarantees in any direction. I’m keeping in mind that I’m generally steroid resistant, but as this is applied directly to the problem as it were it may be very different. I hope so. So why go ahead with no guarantee of an outcome? Lots of reasons. Mainly boiling down to life’s too short. If there’s a chance of long term pain relief I’ll take it please. If you’re looking for further reading Spine Health is a site I have found really clear and helpful (no affiliation). Edit – as I check this for the usual typos before publishing it’s about four hours post procedure, and I’m just about to pop some tramadol. Just the usual pain level at this time. *As always these are simply my personal experience and opinions and should never be taken as medical advice. Well here I am, roughly 20 months since diagnosis with RD and more or less no further forward. Although I can now quote some really fancy medical terms! Most of my joints are now affected in some way, my mobility is very limited and the fatigue is a constant companion. Having tried all the basic DMARDs, Methotrexate (damaged liver), Sulfasalazine (no effect), Hydroxychloriquine (no effect) and Leflunomide (horrid side effects) it’s come time to move on to the biologic medication. 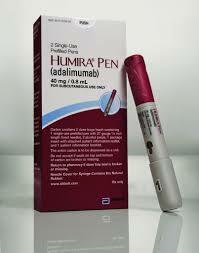 My rheumatologist and I have decided to start on Humira (Adalimumab) which means fortnightly self injections using a click-pen delivery system. I’m just waiting for an appointment to go through the logistics of delivery, storage etc and then it’s a go. I can’t wait. One of the reasons this medication and others like it are not offered until other drugs have failed is the cost. According to the most recent information I can find online, Humira costs the NHS £352 per injection. With 52 weeks in the year that’s over £18,000 per year. Shocking isn’t it? I’ve only become conscious of medication costs since chatting with my lovely RD friends in the US, it’s a horrid reality for them every time they so much as call a doctor. So I’m very grateful for the NHS right now, believe me. So what is a biologic, why is it so special? They are actually genetically engineered proteins derived from human genes. All very modern medicine!In simple terms they target specific areas of the immune system, Humira in particular blocks a chemical reactor that causes inflammation called TNF. Biologics are only prescribed for moderate to severe RD, and have revolutionised treatment over the past 20 years or so. This more aggressive treatment can help reduce the chances of long term disability and have changed many people’s lives. I’m hoping this will be my ‘magic’ and allow me to enjoy a better quality of life, which is why I’m prepared to take the risks associated with biologics. They can read as very scary. Even on Humira’s own website, the first thing you see is a warning. Firstly that serious infections can occur whilst on Humira and some people have died. Secondly that there is an increased risk of some cancers. According to the Journal of the American Medical Association the risk increases three-fold the chances of Lymphoma, skin cancer and a specific type of T-cell Lymphoma that commonly results in death. Plus of course the full range of more ‘normal’ side effects. Definitely not to be taken lightly. Firstly I would really like some proper quality of life back. To be able to get out and about more, not have to cancel arrangements because I’m too ill or too fatigued. I love my friends, I’d like to see them more often. Believe me fatigue is incredibly debilitating, unless you’ve had to sit down exhausted after something as normal as taking a shower you have no concept of just how awful it makes you feel. Secondly I’d like to slow the progression of my RD and hopefully keep my joints working to some degree. My RA hasn’t been controlled at all yet and whilst my joints haven’t become obviously deformed they is ongoing damage occurring which causes incredible pain. So yes, I’m excited. I know some people who refuse biologics because of the risks, and that’s absolutely their right. However for me there’s no alternative but to say a heartfelt yes please. If I can lessen my pain and swelling, and hopefully reduce some of my other RD symptoms like night sweats and hot flashes, AND get some energy back then I’ve got to grab that chance with both hands! Maybe my dream of returning to work of some kind could even become a reality! As with most RD drugs I won’t know for around ten weeks if this is working for me, so it’s not an overnight fix. And I’m fully aware it may not work for me, I have to keep that firmly in my mind too – not negativity but reality. My rheumatologist has already said if this doesn’t work she will try another biologic which is delivered by weekly infusions, so this isn’t the end of the line by any means.